Holly was born and raised in Southern California where she earned a Bachelors degree in Global Studies from Azusa Pacific University. Even though her main focus was on studying, Holly has always had an interest in hair and makeup and made time to give herself an updo everyday. Her roommates asked her to braid or curl their hair on a regular basis (which she did happily) and eventually styled some of those same friends’ hair for their weddings! Shortly after moving to Austin in 2012, Holly began working with foster youth at a Residential Treatment Center. Four years later, she decide to pursue a career in the beauty industry. 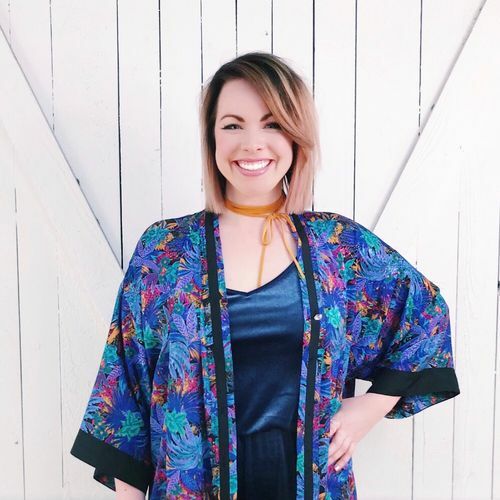 Holly graduated from Baldwin Beauty School in 2017 and immediately began working as an associate to Urban Betty’s Wedding specialist Nina Fitzgerald. Holly is passionate about genuinely connecting with people and strives to create a space for people to practice self care while feeling beautiful, valued, and seen. Holly gets most excited to style hair for weddings, she also loves to express creativity through painting and sculpting hair for clients of all kinds!